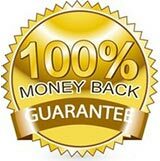 We offer a 100% money back performance guarantee on all our well & city water purification and treatment systems*. If you do not get the results that we agreed to treat, you may return it within 12 months of purchase for your money back — no questions asked! How can Pure Water Solutions offer such a great guarantee? We test your water so we know exactly what is needed. Hundreds of installations and years of experience give us the knowledge to know what will work best for your specific problems. We use the best contractors and best equipment available. We have tested and tested and tested some more to find the best performing filtration media and equipment that does more to remove hardness, Iron, and other contaminant(s) than most others in the market today. We make our high quality systems available at affordable pricing because we want to make safe, great tasting, pure water available for as many people (or families) as possible in Southern Oregon. The Salt Free Conditioner DOES NOT PHYSICALLY REMOVE CALCIUM OR MAGNESIUM. We offer salt-free water softeners for people who strongly dislike salt but they may not work as well as a salt-based system in your situation. At Pure Water, we have had only 92% success rate for salt-free vs. 100% for salt-based systems. However, if you try a salt free system, you may exchange it within 12 months of purchase for one of our best Salt Based Softeners which includes a 5 year warranty. A one time exchange fee applies. Salt-free exchange includes: Salt Free tank removal, installation fee, plus our 100% money back performance guarantee to make your water scale and iron free. We will even refund the exchange fee. Please contact us for complete details on all Pure-Water Solutions and our great guarantee. That’s why we tell you all the facts, right up front, before we get started. We want you to know what you need to know to make the best decisions for the water you use for your family and your home and business.